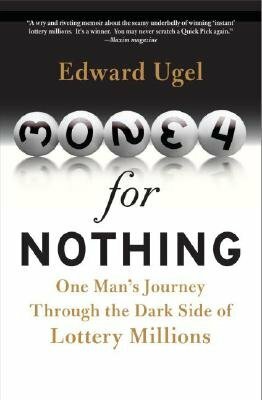 In his wry and funny memoir, Edward Ugel tells the story of America's addiction to the lottery from an astonishing angle. At age twenty-six, Ed found himself broke, knee-deep in gambling debt, and moving back into his parents' basement. It all changed, however, when he serendipitously landed a job as a salesman for The Firm - a company that offered up-front cash to lottery winners in exchange for their prize money, often paid in agonizingly small annual payments, some lasting up to twenty-five years. For the better part of the ensuing decade, Ed spent his time closing deals with lottery winners, making a lucrative and legitimate - if sometimes not-so-nice - living by taking advantage of their weaknesses... weaknesses he knew all too well. A charmingly neurotic gambler, Ed traveled deep into the heart of the country where he discovered the American Dream looks a lot like a day at the casino. And Ed knows casinos. In fact, his own taste for gambling gave him a unique insight into lottery winners: he intimately understood their mindset, making it that much easier to relate to them. And like lottery winners, Ed struggled to find balance in his own life as his increasing success earned him a bigger and bigger salary. Even as he relished his accomplishments, he grappled with the question: "If you are good at something that is bad for some people, does that make you a bad person?" Ed Ugel takes the readers inside the captivating world of lottery winners and shows us how lotteries and gambling have become deeply inscribed in every aspect of American life shaping our image of success and good fortune. "Money for Nothing" is a witty, wise, and often outrageously funny account of high expectations and easy money.